For other uses, see Nursing (disambiguation). "Nurse" and "Nurses" redirect here. For other uses, see Nurse (disambiguation). Nursing is a profession within the health care sector focused on the care of individuals, families, and communities so they may attain, maintain, or recover optimal health and quality of life. Nurses may be differentiated from other health care providers by their approach to patient care, training, and scope of practice. Nurses practice in many specialties with differing levels of prescription authority. Many nurses provide care within the ordering scope of physicians, and this traditional role has shaped the public image of nurses as care providers. However, nurse practitioners are permitted by most jurisdictions to practice independently in a variety of settings. Since the postwar period, nurse education has undergone a process of diversification towards advanced and specialized credentials, and many of the traditional regulations and provider roles are changing. Nurses develop a plan of care, working collaboratively with physicians, therapists, the patient, the patient's family and other team members, that focuses on treating illness to improve quality of life. In the United States and the United Kingdom, advanced practice nurses, such as clinical nurse specialists and nurse practitioners, diagnose health problems and prescribe medications and other therapies, depending on individual state regulations. Nurses may help coordinate the patient care performed by other members of a multidisciplinary health care team such as therapists, medical practitioners and dietitians. Nurses provide care both interdependently, for example, with physicians, and independently as nursing professionals. Nursing historians face the challenge of determining whether care provided to the sick or injured in antiquity was nursing care. In the fifth century BC, for example, the Hippocratic Collection in places describes skilled care and observation of patients by male "attendants," who may have been early nurses. Around 600 BC in India, it is recorded in Sushruta Samhita, Book 3, Chapter V about the role of the nurse as "the different parts or members of the body as mentioned before including the skin, cannot be correctly described by one who is not well versed in anatomy. Hence, any one desirous of acquiring a thorough knowledge of anatomy should prepare a dead body and carefully, observe, by dissecting it, and examine its different parts." Before the foundation of modern nursing, members of religious orders such as nuns and monks often provided nursing-like care. Examples exist in Christian, Islamic and Buddhist traditions amongst others. Phoebe, mentioned in Romans 16 has been described in many sources as "the first visiting nurse". These traditions were influential in the development of the ethos of modern nursing. The religious roots of modern nursing remain in evidence today in many countries. One example in the United Kingdom is the use of the historical title "sister" to refer to a senior nurse in the past. During the Reformation of the 16th century, Protestant reformers shut down the monasteries and convents, allowing a few hundred municipal hospices to remain in operation in northern Europe. Those nuns who had been serving as nurses were given pensions or told to get married and stay home. Nursing care went to the inexperienced as traditional caretakers, rooted in the Roman Catholic Church, were removed from their positions. The nursing profession suffered a major setback for approximately 200 years. Florence Nightingale was an influential figure in the development of modern nursing. No uniform had been created when Nightingale was employed during the Crimean War. Often considered the first nurse theorist, Nightingale linked health with five environmental factors:(1) pure or fresh air, (2) pure water, (3) efficient drainage, (4) cleanliness, and (5) light, especially direct sun light. Deficiencies in these five factors resulted in lack of health or illness. Both the role of nursing and education were first defined by Nightingale. Florence Nightingale laid the foundations of professional nursing after the Crimean War. Her Notes on Nursing (1859) became popular. The Nightingale model of professional education, having set up the first school of nursing that is connected to a continuously operating hospital and medical school, spread widely in Europe and North America after 1870. Nightingale was also a pioneer of the graphical presentation of statistical data. Agnes Hunt from Shropshire was the first orthopedic nurse and was pivotal in the emergence of the orthopedic hospital The Robert Jones & Agnes Hunt Hospital in Oswestry, Shropshire. Agnes Jones, who established a nurse training regime at the Brownlow Hill infirmary, Liverpool, in 1865. Linda Richards, who established quality nursing schools in the United States and Japan, and was officially the first professionally trained nurse in the US, graduating in 1873 from the New England Hospital for Women and Children in Boston. Clarissa Harlowe "Clara" Barton, a pioneer American teacher, patent clerk, nurse, and humanitarian, and the founder of the American Red Cross. Saint Marianne Cope, a Sister of St. Francis who opened and operated some of the first general hospitals in the United States, instituting cleanliness standards which influenced the development of America's modern hospital system. Catholic orders such as Little Sisters of the Poor, Sisters of Mercy, Sisters of St. Mary, St. Francis Health Services, Inc. and Sisters of Charity built hospitals and provided nursing services during this period. In turn, the modern deaconess movement began in Germany in 1836. Within a half century, there were over 5,000 deaconesses in Europe. Formal use of nurses in the modern military began in the latter half of the nineteenth century. Nurses saw active duty in the First Boer War, the Egyptian Campaign (1882),  and the Sudan Campaign (1883). Hospital-based training came to the fore in the early 1900s, with an emphasis on practical experience. The Nightingale-style school began to disappear. Hospitals and physicians saw women in nursing as a source of free or inexpensive labor. Exploitation of nurses was not uncommon by employers, physicians, and educational providers. Many nurses saw active duty in World War I, but the profession was transformed during the second World War. British nurses of the Army Nursing Service were part of every overseas campaign. More nurses volunteered for service in the US Army and Navy than any other occupation. The Nazis had their own Brown Nurses, 40,000 strong. Two dozen German Red Cross nurses were awarded the Iron Cross for heroism under fire. The modern era saw the development of undergraduate and post-graduate nursing degrees. Advancement of nursing research and a desire for association and organization led to the formation of a wide variety of professional organizations and academic journals. Growing recognition of nursing as a distinct academic discipline was accompanied by an awareness of the need to define the theoretical basis for practice. In the 19th and early 20th century, nursing was considered a women's profession, just as doctoring was a men's profession. With increasing expectations of workplace equality during the late 20th century, nursing became an officially gender-neutral profession, though in practice the percentage of male nurses remains well below that of female physicians in the early 21st century. Nursing encompasses autonomous and collaborative care of individuals of all ages, families, groups and communities, sick or well, and in all settings. Nursing includes the promotion of health, prevention of illness, and the care of ill, disabled and dying people. Advocacy, promotion of a safe environment, research, participation in shaping health policy and in patient and health systems management, and education are also key nursing roles. The use of clinical judgment in the provision of care to enable people to improve, maintain, or recover health, to cope with health problems, and to achieve the best possible quality of life, whatever their disease or disability, until death. Nursing is the protection, promotion, and optimization of health and abilities; prevention of illness and injury; alleviation of suffering through the diagnosis and treatment of human responses; and advocacy in health care for individuals, families, communities, and populations. The unique function of the nurse is to assist the individual, sick or well, in the performance of those activities contributing to health or its recovery (or to peaceful death) that he would perform unaided if he had the necessary strength, will or knowledge. The authority for the practice of nursing is based upon a social contract that delineates professional rights and responsibilities as well as mechanisms for public accountability. In almost all countries, nursing practice is defined and governed by law, and entrance to the profession is regulated at the national or state level. The aim of the nursing community worldwide is for its professionals to ensure quality care for all, while maintaining their credentials, code of ethics, standards, and competencies, and continuing their education. There are a number of educational paths to becoming a professional nurse, which vary greatly worldwide; all involve extensive study of nursing theory and practice as well as training in clinical skills. Nurses care for individuals of all ages and cultural backgrounds who are healthy and ill in a holistic manner based on the individual's physical, emotional, psychological, intellectual, social, and spiritual needs. The profession combines physical science, social science, nursing theory, and technology in caring for those individuals. To work in the nursing profession, all nurses hold one or more credentials depending on their scope of practice and education. In the United States, a Licensed Practical Nurse (LPN) works independently or with a Registered Nurse (RN). The most significant difference between an LPN and RN is found in the requirements for entry to practice, which determines entitlement for their scope of practice. RNs provide scientific, psychological, and technological knowledge in the care of patients and families in many health care settings. RNs may earn additional credentials or degrees. In the United States, multiple educational paths will qualify a candidate to sit for the licensure examination as a RN. The Associate Degree in Nursing (ADN) is awarded to the nurse who has completed a two-year undergraduate academic degree awarded by community colleges, junior colleges, technical colleges, and bachelor's degree-granting colleges and universities upon completion of a course of study usually lasting two years. It is also referred to as Associate in Nursing (AN), Associate of Applied Science in Nursing (AAS), or Associate of Science in Nursing (ASN). The Bachelor of Science in Nursing (BScN) is awarded to the nurse who has earned an American four-year academic degree in the science and principles of nursing, granted by a tertiary education university or similarly accredited school. After completing either the LPN or either RN education programs in the United States, graduates are eligible to sit for a licensing examination to become a nurse, the passing of which is required for the nursing license. The National Licensure Examination (NCLEX) test is a standardized exam (including multiple choice, select all that apply, fill in the blank and "hot spot" questions) that nurses take to become licensed. It costs two-hundred dollars to take the NCLEX. It examines a nurses ability to properly care for a client. Study books and practice tests are available for purchase. Some nurses follow the traditional role of working in a hospital setting. Other options include: pediatrics, neonatal, maternity, OBGYN, geriatrics, ambulatory, and nurse anesthetists. There are many other options nurses can explore depending on the type of degree and education acquired. RNs may also pursue different roles as advanced practice nurses. Nurses are not truly doctor's assistants. This is possible in certain situations, but nurses more often are independently caring for their patients or assisting other nurses. RNs treat patients, record their medical history, provide emotional support, and provide follow-up care. Nurses also help doctors perform diagnostic tests. Nurses are almost always working on their own or with other nurses. Nurses will assist doctors in the emergency room or in trauma care when help is needed. Despite equal opportunity legislation, nursing has continued to be a female-dominated profession. For instance, the male-to-female ratio of nurses is approximately 1:19 in Canada and the United States. This ratio is represented around the world. Notable exceptions include Francophone Africa, which includes the countries of Benin, Burkina Faso, Cameroon, Chad, Congo, Côte d'Ivoire, the Democratic Republic of Congo, Djibouti, Guinea, Gabon, Mali, Mauritania, Niger, Rwanda, Senegal, and Togo, which all have more male than female nurses. In Europe, in countries such as Spain, Portugal, Czech Republic and Italy, over 20% of nurses are male. In the United Kingdom, 11% of nurses and midwives registered with the Nursing and Midwifery Council (NMC) are male. The number of male-registered nurses in the United States between 1980 and 2000s doubled. Although females are more common, male nurses receive the same pay. Nursing practice is the actual provision of nursing care. In providing care, nurses implement the nursing care plan using the nursing process. This is based around a specific nursing theory which is selected in consideration with the care setting and the population served. In providing nursing care, the nurse uses both nursing theory and best practice derived from nursing research. In general terms, the nursing process is the method used to assess and diagnose needs, plan outcomes and interventions, implement interventions, and evaluate the outcomes of the care provided. Like other disciplines, the profession has developed different theories derived from sometimes diverse philosophical beliefs and paradigms or worldviews to help nurses direct their activities to accomplish specific goals. Assisting in activities of daily living (ADL) are skills required in nursing as well as other professions such as nursing assistants. This includes assisting in patient mobility, such as moving an activity intolerant patient within bed. For hygiene, this often involves bed baths and assisting with urinary and bowel elimination. Nurses do not have the authority to prescribe medications, although there are some exceptions. All medications administered by nurses must be from a medication prescription from a licensed practitioner, such as a physician. Nurses are legally responsible for the drugs they administer. There may be legal implications when there is an error in a prescription, and the nurse could be expected to have noted and reported the error. In the United States, nurses have the right to refuse any medication administration that they deem to be potentially harmful to the patient. In the United Kingdom there are some nurses who have taken additional specialist training that allows them to prescribe certain medications. The patient's family is often involved in the education. Effective patient education leads to fewer complications and hospital visits. Nursing is the most diverse of all healthcare professions. Nurses practice in a wide range of settings but generally nursing is divided depending on the needs of the person being nursed. There are also specialist areas such as cardiac nursing, orthopedic nursing, palliative care, perioperative nursing, obstetrical nursing, oncology nursing, nursing informatics, telenursing and emergency nursing. Nurses practice in a wide range of settings, including hospitals, private homes, schools, and pharmaceutical companies. Nurses work in occupational health settings (also called industrial health settings), free-standing clinics and physician offices, nurse-led clinics, long-term care facilities and camps. They also work on cruise ships and in military service. Nurses act as advisers and consultants to the health care and insurance industries. Many nurses also work in the health advocacy and patient advocacy fields at companies such as Health Advocate, Inc. helping in a variety of clinical and administrative issues. Some are attorneys and others work with attorneys as legal nurse consultants, reviewing patient records to assure that adequate care was provided and testifying in court. Nurses can work on a temporary basis, which involves doing shifts without a contract in a variety of settings, sometimes known as per diem nursing, agency nursing or travel nursing. Nurses work as researchers in laboratories, universities, and research institutions. Nurses have also been delving into the world of informatics, acting as consultants to the creation of computerized charting programs and other software. Internationally, there is a serious shortage of nurses. One reason for this shortage is due to the work environment in which nurses practice. In a recent review of the empirical human factors and ergonomic literature specific to nursing performance, nurses were found to work in generally poor environmental conditions. Some countries and states have passed legislation regarding acceptable nurse-to-patient ratios. The fast-paced and unpredictable nature of health care places nurses at risk for injuries and illnesses, including high occupational stress. Nursing is a particularly stressful profession, and nurses consistently identify stress as a major work-related concern and have among the highest levels of occupational stress when compared to other professions. This stress is caused by the environment, psychosocial stressors, and the demands of nursing, including new technology that must be mastered, the emotional labor involved in nursing, physical labor, shift work, and high workload. This stress puts nurses at risk for short-term and long-term health problems, including sleep disorders, depression, mortality, psychiatric disorders, stress-related illnesses, and illness in general. Nurses are at risk of developing compassion fatigue and moral distress, which can worsen mental health. They also have very high rates of occupational burnout (40%) and emotional exhaustion (43.2%). Burnout and exhaustion increase the risk for illness, medical error, and suboptimal care provision. Hospitals and other healthcare facilities can upload the occupational injury data they already collect for analysis and benchmarking with other de-identified facilities, in order to identify and implement timely and targeted interventions. Nurses are also at risk for violence and abuse in the workplace. Violence is typically perpetrated by non-staff (e.g. patients or family), whereas abuse is typically perpetrated by other hospital personnel. 57% of American nurses reported in 2011 that they had been threatened at work; 17% were physically assaulted. There are a number of interventions that can mitigate the occupational hazards of nursing. They can be individual-focused or organization-focused. Individual-focused interventions include stress management programs, which can be customized to individuals. Stress management programs can reduce anxiety, sleep disorders, and other symptoms of stress. Organizational interventions focus on reducing stressful aspects of the work environment by defining stressful characteristics and developing solutions to them. Using organizational and individual interventions together is most effective at reducing stress on nurses. Catholic religious institutes were influential in the development of Australian nursing, founding many of Australia's hospitals – the Irish Sisters of Charity were first to arrive in 1838 and established St Vincent's Hospital, Sydney in 1857 as a free hospital for the poor. They and other orders like the Sisters of Mercy, and in aged care the Sisters of the Little Company of Mary and Little Sisters of the Poor founded hospitals, hospices, research institutes and aged care facilities around Australia. A census in the 1800s found several hundred nurses working in Western Australia during the colonial period of history, this included Aboriginal female servants who cared for the infirm. The state nursing licensing bodies amalgamated in Australia in 2011 under the federal body AHPRA (Australian Health Practitioner Registration Authority). Several divisions of nursing license is available and recognized around the country. Enrolled nurses may initiate some oral medication orders with a specific competency now included in national curricula but variable in application by agency. Registered nurses hold a university degree (enrolled nurses can progress to registered nurse status and do get credit for previous study). Nurse practitioners have started emerging from postgraduate programs and work in private practice. Mental health nurses must complete further training as advanced mental health practitioners in order to administer client referrals under the Mental Health Act. Australia enjoys the luxury of a national curriculum for vocational nurses, trained at Technical and Further Education (TAFE) colleges or private Registered Training Organization (RTO). Enrolled and registered nurses are identified by the department of immigration as an occupational area of need, although registered nurses are always in shorter supply, and this increases in proportion with specialization. In the European Union, the profession of nurse is regulated. A profession is said to be regulated when access and exercise is subject to the possession of a specific professional qualification. The regulated professions database contains a list of regulated professions for nurse in the European Union (EU) member states, European Economic Area (EEA) countries, and Switzerland. This list is covered by the Directive 2005/36/EC. To practice lawfully as a registered nurse in the United Kingdom, the practitioner must hold a current and valid registration with the Nursing and Midwifery Council. The title "Registered Nurse" can only be granted to those holding such registration. This protected title is laid down in the Nurses, Midwives and Health Visitors Act, 1997. From April 2016, nurses in the United Kingdom are expected to revalidate every three years which involves providing evidence of further development and active practice. First-level nurses make up the bulk of the registered nurses in the UK. They were previously known by titles such as Registered General Nurse (RGN), Registered Sick Children's Nurse (RSCN), Registered Mental Nurse (RMN), and Registered Nurse (for the) Mentally Handicapped (RNMH). The titles used now are similar, including Registered Nurse Adult (RNA), Registered Nurse Child (RNC), Registered Nurse Mental Health (RNMH), and Registered Nurse (of) Learning Disabilities (RNLD). Second-level nurse training is no longer provided; however, they are still legally able to practice in the United Kingdom as a registered nurse. Many have now either retired or undertaken conversion courses to become first-level nurses. They are entitled to refer to themselves as registered nurses as their registration is on the Nursing & Midwifery Council register of nurses, although most refer to themselves as Enrolled Nurses (ENs) or State Enrolled Nurses (SENs). Nurse practitioners – Most of these nurses obtain a minimum of a master's degree, and a desired post grad certificate. They often perform roles similar to those of physicians and physician assistants. They can prescribe medications as independent or supplementary prescribers, although are still legally regulated, unlike physician's assistants. Most Nurse Practitioners (NPs) have referral and admission rights to hospital specialties. They commonly work in primary care (e.g. General Practitioner (GP) surgeries), Accident and Emergency (A&E) departments, or pediatrics although they are increasingly being seen in other areas of practice. In the UK, the title "nurse practitioner" is legally protected. Specialist community public health nurses – traditionally district nurses and health visitors, this group of research and publication activities. Lecturer-practitioners (also called practice education facilitators) – these nurses work both in the NHS, and in universities. They typically work for 2–3 days per week in each setting. In university, they train pre-registration student nurses (see below), and often teach on specialist courses for post-registration nurses. Lecturers – these nurses are not employed by the NHS. Instead they work full-time in universities, both teaching and performing research. Many nurses who have worked in clinical settings for a long time choose to leave clinical nursing and join the ranks of the NHS management. This used to be seen as a natural career progression for those who had reached ward management positions, however with the advent of specialist nursing roles (see above), this has become a less attractive option. Nonetheless, many nurses fill positions in the senior management structure of NHS organizations, some even as board members. Others choose to stay a little closer to their clinical roots by becoming clinical nurse managers or modern matrons. To become a registered nurse, one must complete a program recognised by the Nursing and Midwifery Council (NMC). Currently, this involves completing a degree, available from a range of universities offering these courses, in the chosen branch specialty (see below), leading to both an academic award and professional registration as a 1st level registered nurse. Such a course is a 50/50 split of learning in university (i.e. through lectures, assignments and examinations) and in practice (i.e. supervised patient care within a hospital or community setting). As of 2013, the Nursing and Midwifery Council will require all new nurses qualifying in the UK to hold a degree qualification. However, those nurses who hold a diploma, or even a certificate in nursing are still able to legally practice in the UK, although they are able to undertake university modules to obtain enough credits to top up to a degree. Midwifery training is similar in length and structure, but is sufficiently different that it is not considered a branch of nursing. There are shortened (18 month) programs to allow nurses already qualified in the adult branch to hold dual registration as a nurse and a midwife. Shortened courses lasting 2 years also exist for graduates of other disciplines to train as nurses. This is achieved by more intense study and a shortening of the common foundation program. As of 2016[update] student nurses in England and Wales can apply a bursary from the government to support them during their nurse training, and may also be eligible for a student loan, although there has been speculation that this will not be available in the future. Student nurses in Scotland still receive a standard bursary which is not means tested, and their tuition fees continue to be paid – however, they are not eligible for student loans. Before Project 2000, nurse education was the responsibility of hospitals and was not based in universities; hence many nurses who qualified prior to these reforms do not hold an academic award. After the point of initial registration, there is an expectation that all qualified nurses will continue to update their skills and knowledge. The Nursing and Midwifery Council insists on a minimum of 35 hours of education every three years, as part of its post registration education and practice (PREP) requirements. There are also opportunities for many nurses to gain additional clinical skills after qualification. Cannulation, venipuncture, intravenous drug therapy and male catheterization are the most common, although there are many others (such as advanced life support), which some nurses undertake. Many nurses who qualified with a diploma choose to upgrade their qualification to a degree by studying part-time. Many nurses prefer this option to gaining a degree initially, as there is often an opportunity to study in a specialist field as a part of this upgrading. Financially, in England, it was also much more lucrative, as diploma students get the full bursary during their initial training, and employers often pay for the degree course as well as the nurse's salary. To become specialist nurses (such as nurse consultants, nurse practitioners etc.) or nurse educators, some nurses undertake further training above bachelor's degree level. Master's degrees exist in various healthcare related topics, and some nurses choose to study for PhDs or other higher academic awards. District nurses and health visitors are also considered specialist nurses, and to become such they must undertake specialist training. This is a one-year full-time degree. All newly qualifying district nurses and health visitors are trained to prescribe from the Nurse Prescribers' Formulary, a list of medications and dressings typically useful to those carrying out these roles. Many of these (and other) nurses will also undertake training in independent and supplementary prescribing, which allows them (as of 1 May 2006) to prescribe almost any drug in the British National Formulary. This has been the cause of a great deal of debate in both medical and nursing circles. Canadian nursing dates back to 1639 in Quebec with the Augustine nuns. These nuns were trying to open a mission that cared for the spiritual and physical needs of patients. The establishment of this mission created the first nursing apprenticeship training in North America. In the nineteenth century, some Catholic orders of nursing were trying to spread their message across Canada. Most nurses were female and only had an occasional consultation with a physician. Towards the end of the nineteenth century, hospital care and medical services had been improved and expanded. Much of this was due to Nightingale's influence. In 1874 the first formal nursing training program was started at the General and Marine Hospital in St. Catharines in Ontario. All Canadian nurses and prospective nurses are heavily encouraged by the Canadian Nurses Association to continue their education to receive a bachelor's degree. This degree may result in better patient outcomes. All Canadian provinces and territories, with the exception of the Yukon and Quebec, require that all nurses have a bachelor's degree. The length of time generally required to obtain this degree is four years. However, some Canadian universities offer a condensed program that is two years in length. Nursing specialty certification generally requires practice experience and passing a test that is based on competencies for that specific medical or surgical domain in which nursing care is provided. The certification in gerontological nursing, which involves providing care to the elderly, is offered to not only RNs and NPs but also LPNs. Nursing was not an established part of Japan's healthcare system until 1899 with the Midwives Ordinance. From there the Registered Nurse Ordinance came into play in 1915. This established a legal substantiation to registered nurses all over Japan. 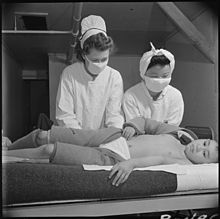 A new law geared towards nurses was created during World War II: the Public Health Nurse, Midwife and Nurse Law, established in 1948. It established educational requirements, standards and licensure. There has been a continued effort to improve nursing in Japan. In 1992 the Nursing Human Resource Law was passed. This law created the development of new university programs for nurses. Those programs were designed to raise the education level of the nurses so that they could be better suited for taking care of the public. Japan only recognizes four types of nursing and they are Public Health Nursing, Midwifery, Registered Nursing and Assistant Nursing. This type of nursing is designed to help the public and is also driven by the public's needs. The goals of public health nurses are to monitor the spread of disease, keep vigilant watch for environmental hazards, educate the community on how to care for and treat themselves, and train for community disasters. Nurses that are involved with midwifery are independent of any organization. A midwife takes care of a pregnant woman during labour and postpartum. They assist with things like breastfeeding and caring for the child. Individuals who are assistant nurses follow orders from a registered nurse. They report back to the licensed nurse about a patient's condition. Assistant nurses are always supervised by a licensed registered nurse. In 1952 Japan established the first nursing university in the country. An Associate Degree was the only level of certification for years. Soon people began to want nursing degrees at a higher level of education. Soon the Bachelor's degree in Nursing (BSN) was established. Currently Japan offers doctorate level degrees of nursing in a good number of its universities. There are three ways that an individual could become a registered nurse in Japan. After obtaining a high school degree the person could go to a nursing university for four years and earn a bachelor's degree, go to a junior nursing college for three years or go to a nursing school for three years. Regardless of where the individual attends school they must take the national exam. Those who attended a nursing university have a bit of an advantage over those who went to a nursing school. They can take the national exam to be a registered nurse, public health nurse or midwife. In the cases of become a midwife or a public health nurse, the student must take a one-year course in their desired field after attending a nursing university and passing the national exam to become a registered nurse. The nursing universities are the best route for someone who wants to become a nurse in Japan. They offer a wider range of general education classes and they also allow for a more rigid teaching style of nursing. These nursing universities train their students to be able to make critical and educated decisions when they are out in the field. Physicians are the ones who are teaching the potential nurses because there are not enough available nurses to teach students. This increases the dominance that physicians have over nurses. Students that attend a nursing college or just a nursing school receive the same degree that one would who graduated from a nursing university, but they do not have the same educational background. The classes offered at nursing colleges and nursing schools are focused on more practical aspects of nursing. These institutions do not offer many general education classes, so students who attend these schools will solely be focusing on their nursing educations while they are in school. Students who attend a nursing college or school do have the opportunity to become a midwife or a public health nurse. They have to go through a training institute for their desired field after graduating from the nursing school or college. Japanese nurses never have to renew their licenses. Once they have passed their exam, they have their license for life. Like the United States, Japan is in need of more nurses. The driving force behind this need this is the fact that country is aging and needs more medical care for its people. However, the number of available nurses does not seem to be increasing. Nurses face poor working conditions and low social status, and there is a cultural idea that married women quit their jobs for family responsibilities. On average, Japanese nurses make around 280,000 yen a month, and it is one of the higher paying jobs. However, physicians make twice as much as nurses. Similar to other cultures, the Japanese people view nurses as subservient to physicians. According to the American Nurses Association article on Japan, "nursing work has been described using negative terminology such as 'hard, dirty, dangerous, low salary, few holidays, minimal chance of marriage and family, and poor image'". There are organizations that unite Japanese nurses like the Japanese Nursing Association (JNA); the JNA is a professional organization and not a union. Members of the JNA lobby politicians and produces publications about nursing. According to the American Nurses Association's article on Japan, the JNA "works toward the improvement in nursing practice through many activities including the development of a policy research group to influence policy development, a code of ethics for nurses, and standards of nursing practice". The JNA also provides certification for specialists in mental health, oncology and community health. The  There are other organizations, including some that categorize nurses by specialty, like emergency nursing or disaster nursing. One of the older unions that relates to nursing is the Japanese Federation of Medical Workers Union, which was created in 1957. It is a union that includes physicians as well as nurses. This organization was involved with the Nursing Human Resource Law. In Taiwan, the Ministry of Health and Welfare is in charge of the regulation of nursing. The Taiwan Union of Nurses Association (TUNA) is the union unit in Taiwan, fighting for nurses on payment and working time issues. In the US, scope of practice is determined by the state or territory in which a nurse is licensed. Each state has its own laws, rules, and regulations governing nursing care. Usually the making of such rules and regulations is delegated to a state board of nursing, which performs day-to-day administration of these rules, licenses nurses and nursing assistants, and makes decisions on nursing issues. In some states, the terms "nurse" or "nursing" may only be used in conjunction with the practice of a registered nurse (RN) or licensed practical or vocational nurse (LPN/LVN). In the hospital setting, registered nurses often delegate tasks to LPNs and unlicensed assistive personnel. RNs are not limited to employment as bedside nurses. They are employed by physicians, attorneys, insurance companies, governmental agencies, community/public health agencies, private industry, school districts, ambulatory surgery centers, among others. Some registered nurses are independent consultants who work for themselves, while others work for large manufacturers or chemical companies. Research nurses conduct or assist in the conduct of research or evaluation (outcome and process) in many areas such as biology, psychology, human development, and health care systems. Many employers offer flexible work schedules, child care, educational benefits, and bonuses. About 21 percent of registered nurses are union members or covered by union contract. The oldest method of nursing education is the hospital-based diploma program, which lasts approximately three years. Students take between 30 and 60 credit hours in anatomy, physiology, microbiology, nutrition, chemistry, and other subjects at a college or university, then move on to intensive nursing classes. Until 1996, most RNs in the US were initially educated in nursing by diploma programs. According to the Health Services Resources Administration's 2000 Survey of Nurses only six percent of nurses who graduated from nursing programs in the United States received their education at a Diploma School of Nursing. The most common initial nursing education is a two-year Associate Degree in Nursing (Associate of Applied Science in Nursing, Associate of Science in Nursing, Associate Degree in Nursing), a two-year college degree referred to as an ADN. Some four-year colleges and universities also offer the ADN. Associate degree nursing programs have prerequisite and corequisite courses (which may include English, Math and Human Anatomy and Physiology) and ultimately stretch out the degree-acquiring process to about three years or greater. The third method is to obtain a Bachelor of Science in Nursing (BSN), a four-year degree that also prepares nurses for graduate-level education. For the first two years in a BSN program, students usually obtain general education requirements and spend the remaining time in nursing courses. In some new programs the first two years can be substituted for an active LPN license along with the required general studies. Advocates for the ADN and diploma programs state that such programs have an on the job training approach to educating students, while the BSN is an academic degree that emphasizes research and nursing theory. Some states require a specific amount of clinical experience that is the same for both BSN and ADN students. A BSN degree qualifies its holder for administrative, research, consulting and teaching positions that would not usually be available to those with an ADN, but is not necessary for most patient care functions. Nursing schools may be accredited by either the Accreditation Commission for Education in Nursing (ACEN) or the Commission on Collegiate Nursing Education (CCNE). Advanced education in nursing is done at the master's and doctoral levels. It prepares the graduate for specialization as an advanced practice registered nurse (APRN) or for advanced roles in leadership, management, or education. The clinical nurse leader (CNL) is an advanced generalist who focuses on the improvement of quality and safety outcomes for patients or patient populations from an administrative and staff management focus. Doctoral programs in nursing prepare the student for work in nursing education, health care administration, clinical research, public policy, or advanced clinical practice. Most programs confer the PhD in nursing or Doctor of Nursing Practice (DNP). Areas of advanced nursing practice include that of a nurse practitioner (NP), a certified nurse midwife (CNM), a certified registered nurse anesthetist (CRNA), or a clinical nurse specialist (CNS). Nurse practitioners and CNSs work assessing, diagnosing and treating patients in fields as diverse as family practice, women's health care, emergency nursing, acute/critical care, psychiatry, geriatrics, or pediatrics, additionally, a CNS usually works for a facility to improve patient care, do research, or as a staff educator. Completion of any one of these three educational routes allows a graduate nurse to take the NCLEX-RN, the test for licensure as a registered nurse, and is accepted by every state as an adequate indicator of minimum competency for a new graduate. However, controversy exists over the appropriate entry-level preparation of RNs. Some professional organizations believe the BSN should be the sole method of RN preparation and ADN graduates should be licensed as "technical nurses" to work under the supervision of BSN graduates. Others feel the on-the-job experiences of diploma and ADN graduates makes up for any deficiency in theoretical preparation. RNs are the largest group of health care workers in the United States, with about 2.7 million employed in 2011. It has been reported[by whom?] that the number of new graduates and foreign-trained nurses is insufficient to meet the demand for registered nurses; this is often referred to as the nursing shortage and is expected[by whom?] to increase for the foreseeable future. There are data to support the idea that the nursing shortage is a voluntary shortage. In other words, nurses are leaving nursing of their own volition. In 2006 it was estimated that approximately 1.8 million nurses chose not to work as a nurse. The Bureau of Labor Statistics reported that 296,900 healthcare jobs were created in 2011. RNs make up the majority of the healthcare work force, therefore these positions will be filled primarily by nurses. The BLS also states that by 2020, there will be 1.2 million nursing job openings due to an increase in the workforce, and replacements. (Rosseter, 2012). The International Council Of Nursing (ICN), the largest international health professional organization in the world, recognizes the shortage of nurses as a growing crisis in the world. This shortage impacts the healthcare of everyone worldwide. One of the many reasons is that nurses who pursue to become nurses do so very late in their lives. This leads to a non-lengthy employment time. A national survey prepared by the Federation of Nurses and Health Professionals in 2001 found that one in five nurses plans to leave the profession within five years because of unsatisfactory working conditions, including low pay, severe under staffing, high stress, physical demands, mandatory overtime, and irregular hours. Approximately 29.8 percent of all nursing jobs are found in hospitals. However, because of administrative cost cutting, increased nurse's workload, and rapid growth of outpatient services, hospital nursing jobs will experience slower than average growth. Employment in home care and nursing homes is expected[by whom?] to grow rapidly. Though more people are living well into their 80s and 90s, many need the kind of long-term care available at a nursing home. Many nurses will also be needed to help staff the growing number of out-patient facilities, such as HMOs, group medical practices, and ambulatory surgery centers. Nursing specialties will be in great demand. There are, in addition, many part-time employment possibilities. Levsey, Campbell, and Green voiced their concern about the shortage of nurses, citing Fang, Wilsey-Wisniewski, & Bednash, 2006 who state that over 40,000 qualified nursing applicants were turned away in the 2005–2006 academic year from baccalaureate nursing programs due to a lack of masters and doctoral qualified faculty, and that this number was increased over 9,000 from 32,000 qualified but rejected students from just two years earlier. Several strategies have been offered to mitigate this shortage including; Federal and private support for experienced nurses to enhance their education, incorporating more hybrid/blended nursing courses, and using simulation in lieu of clinical (hospital) training experiences. Furthermore, there is a shortage of academically qualified instructors to teach at schools of nursing worldwide. The serious need for educational capacity is not being met, which is the underlying most important preparation resource for the nurses of tomorrow. The decrease in faculty everywhere is due to many factors including decrease in satisfaction with the workforce, poor salaries, and reduction in full-time equivalent. Throughout the span of 6 years the nursing faculty shortage has been written about an increasing amount. There is no clear consensus or an organized plan on how to fix the ongoing issue. With health care knowledge growing steadily, nurses can stay ahead of the curve through continuing education. Continuing education classes and programs enable nurses to provide the best possible care to patients, advance nursing careers, and keep up with Board of Nursing requirements. The American Nurses Association and the American Nursing Credentialing Center are devoted to ensuring nurses have access to quality continuing education offerings. Continuing education classes are calibrated to provide enhanced learning for all levels of nurses. Many States also regulate Continuing Nursing Education. Nursing licensing boards requiring Continuing Nursing Education (CNE) as a condition for licensure, either initial or renewal, accept courses provided by organizations that are accredited by other state licensing boards, by the American Nursing Credentialing Center (ANCC), or by organizations that have been designated as an approver of continuing nursing education by ANCC. There are some exceptions to this rule including the state of California, Florida and Kentucky. National Healthcare Institute has created a list to assist nurses in determining their CNE credit hours requirements. While this list is not all inclusive, it offers details on how to contact nursing licensing boards directly. Professional nursing organizations, through their certification boards, have voluntary certification exams to demonstrate clinical competency in their particular specialty. Completion of the prerequisite work experience allows an RN to register for an examination, and passage gives an RN permission to use a professional designation after their name. For example, passage of the American Association of Critical-care Nurses specialty exam allows a nurse to use the initials 'CCRN' after his or her name. Other organizations and societies have similar procedures. The American Nurses Credentialing Center, the credentialing arm of the American Nurses Association, is the largest nursing credentialing organization and administers more than 30 specialty examinations. The Nursing education is governed in India by the central body Indian Nursing Council and its norms are implemented through respective State Nursing council such as Kerala Nurses and Midwives Council. ^ Coulehan J. L., Block M. R. (2005): The Medical Interview: Mastering skills for clinical practice, 5th Ed. F. A. Davis. ISBN 0-8036-1246-X. OCLC 232304023. ^ Dunphy L. M., Winland-Brown J. E. (2011): Primary care: The art and science of advanced practice nursing. F.A. Davis. ISBN 9780803626478. ^ O'Lynn, CE (2007). "History of men in nursing: a review". In O'Lynn, CE; Tranbarger, RE (eds.). Men in Nursing: History, Challenges, and Opportunities. New York: Springer Pub. pp. 6–8. ISBN 9780826103499. ^ Levine, EB; Levine, ME (1965). "Hippocrates, father of nursing, too?". The American Journal of Nursing. 65 (12): 86–8. doi:10.1097/00000446-196512000-00022. PMID 5319739. ^ Bloy, M. "Florence Nightingale (1820–1910)". The Victorian Web. Retrieved 24 November 2014. ^ Ferngren, GB (2009). Medicine & health care in early Christianity. Baltimore: Johns Hopkins University Press. p. 121. ISBN 9780801895227. ^ Sachedina, Abdulaziz (2009). Islamic biomedical ethics: principles and application. Oxford: Oxford University Press. pp. 93–94. ISBN 9780195378504. ^ de Bary, WT, ed. (2011). The Buddhist tradition in India, China & Japan (Unabridged. ed.). New York: Vintage eBooks. pp. 35–36. ISBN 9780307778796. ^ Egenes, KJ (2009). "History of nursing". In Halstead, J; Roux, G (eds.). Issues and Trends in Nursing: Essential Knowledge for Today and Tomorrow. Sudbury, MA: Jones and Bartlett. p. 2. ISBN 9780763752255. ^ Striepe, JM (1992). "Reclaiming the church's healing role". Journal of Christian Nursing. 10 (1): 4–7. doi:10.1097/00005217-199310010-00002. PMID 8418284. ^ Wand, T (January 2004). "The 'Sister' title: past the use by date?". Collegian. 11 (1): 35–39. doi:10.1016/S1322-7696(08)60442-4. ^ Leonard, AE (2008). "Female religious orders". In Hsia, RP (ed.). A Companion to the Reformation World (1st paperback ed.). Oxford: Blackwell Publishers. p. 244. ISBN 978-1405149624. ^ Lundy, KS (2014). "A history of health care and nursing". In Masters, K (ed.). Role Development in Professional Nursing Practice (3rd ed.). Burlington, MA: Jones & Bartlett Learning. pp. 11–12. ISBN 9781449681982. ^ Winkel, W (2009). "Florence Nightingale". Epidemiology. 20 (2): 311. doi:10.1097/EDE.0b013e3181935ad6. PMID 19234417. ^ Bostridge, Mark (26 October 2017). "Florence Nightingale: the Lady with the Lamp". BBC. ^ Mother Marianne becomes an American saint – CNN.com. Edition.cnn.com. Retrieved on 2013-07-28. ^ Naumann, CD (2008). In the footsteps of Phoebe: a Complete History of the Deaconess Movement in the Lutheran Church—Missouri Synod. St. Louis, MO: Concordia Pub. House. p. 4. ISBN 9780758608314. ^ Blackmore, H, ed. (2007). The Beginning of Women's Ministry: the Revival of the Deaconess in the Nineteenth-century Church of England. Woodbridge: Boydell Press. ISBN 978-1-84383-308-6. ^ "Our History". British Army Website. Archived from the original on 28 October 2011. Retrieved 31 October 2011. ^ "History of the School of Nursing". University of Maryland School of Nursing. Retrieved 19 January 2016. ^ Chin, PL; Kramer, MK (2008). Integrated Theory and Knowledge Development in Nursing (7th ed.). St. Louis: Mosby Elsevier. pp. 33–34. ISBN 9780323052702. ^ "QA World War Two Nursing". qaranc.co.uk. Retrieved 31 October 2011. ^ Alligood, MR (2013). "Introduction to nursing theory". In Alligood, MR; Tomey, AM (eds.). Nursing Theorists and their Work (7th ed.). Maryland Heights, MO: Mosby/Elsevier. pp. 5–6. ISBN 9780323056410. ^ "Total Number of Professionally Active Nurses, by Gender". kff.org. Retrieved 19 January 2016. ^ "Distribution of Physicians by Gender". kff.org. Retrieved 19 January 2016. ^ "Defining nursing 2014". Royal College of Nursing (RCN). 22 December 2014. Retrieved 8 October 2016. ^ "Associate Degree in Nursing (ADN/ASN)". collegeatlas.org. Retrieved 29 October 2015. ^ "NCLEX Exam | National Council Licensure Examination". 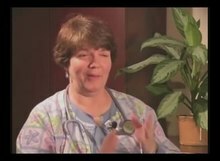 allnursingschools.com. Retrieved 29 October 2015. ^ "5 Myths about Registered Nurses – Ameritech College of Healthcare". Ameritech College of Healthcare. Retrieved 15 October 2015. ^ "Registered Nurse (RN) Career and Job Information". careerprofiles.info. Retrieved 15 October 2015. ^ Grant VJ, Robinson E, Muir P (2004). "BM 2004;328:141–142 (17 January)". BMJ. 328 (7432): 141–2. doi:10.1136/bmj.328.7432.141. PMC 314508. PMID 14726342. ^ Patrick Sullivan (12 June 2001). "Canada Medical Association Journal 12 June 2001; 164 (12)". Cmaj.ca. Retrieved 4 September 2013. ^ "Annual Equality and Diversity Profile, NMC 2015–2016" (PDF). ^ Weintraub, Arlene (3 June 2002). "Nursing: On the Critical List". Business Week. ^ "Men in Nursing Occupations" (PDF). Census.gov. American Community Survey. February 2013. Archived from the original (PDF) on 13 July 2017. Retrieved 6 October 2015. ^ Weber, Janet (2014). Nurses' handbook of health assessment. Philadelphia: Wolters Kluwer/Lippincott Williams & Wilkins Health. ISBN 9781451142822. ^ Taylor, C. R., Lillis, C., LeMone, P., Lynn, P. (2011) Fundamentals of nursing: The art and science of nursing care. Philadelphia: Lippincott Williams & Wilkins, page 735-736. ^ "Page Not Found | Royal College of Nursing". rcn.org.uk. Retrieved 10 December 2017. ^ Taylor, C. R., Lillis, C., LeMone, P., Lynn, P. (2011) Fundamentals of nursing: The art and science of nursing care. Philadelphia: Lippincott Williams & Wilkins, page 468. ^ Draper Elaine; LaDou Joseph; Tennenhouse Dan J (2011). "Occupational Health Nursing and the Quest for Professional Authority". New Solutions. 21 (1): 57–88. doi:10.2190/ns.21.1.i. PMID 21411426. ^ Buchanan, J. (2002). "Global nursing shortages". BM. 324 (7340): 751–2. doi:10.1136/bmj.324.7340.751. PMC 1122695. PMID 11923146. ^ a b c Roberts, Rashaun; Grubb, Paula L.; Grosch, James W. (25 June 2012). "Alleviating Job Stress in Nurses". NIOSH: Workplace Safety and Health. Medscape and NIOSH. ^ "CDC – Occupational Health Safety Network (OHSN) – NIOSH Workplace Safety and Health Topic". cdc.gov. Retrieved 30 May 2015. ^ Hartley, Dan; Ridenour, Marilyn (12 August 2013). "Free On-line Violence Prevention Training for Nurses". National Institute for Occupational Safety and Health. Retrieved 15 January 2015. ^ "Internet Archive Wayback Machine". 6 July 2011. Archived from the original on 2 April 2010. Retrieved 31 July 2012. ^ "Little Sisters of the Poor Oceania". Littlesistersofthepoor.org.au. Retrieved 31 July 2012. ^ Ralph, Nicholas; Birks, Melanie; Chapman, Ysanne (November 2013). "The accreditation of nursing education in Australia". Collegian. 22 (1): 3–7. doi:10.1016/j.colegn.2013.10.002. PMID 26285403. ^ Nurses' militancy stemmed from two different kinds of experiences. Anu.edu.au (1983-11-19). Retrieved on 2013-07-28. ^ "Regulated professions database – European Commission". ec.europa.eu. Retrieved 10 December 2017. ^ Jackson, Linda (24 February 2016). "How revalidation will work for nurses and midwives". The Guardian. Retrieved 8 October 2016. ^ "NMC Revalidation to begin in April 2016". NursingNotes. 16 October 2015. Retrieved 1 June 2017. ^ "Changes to pre-registration nursing programmes: FAQs | Nursing and Midwifery Council". Nmc-uk.org. 20 April 2010. Archived from the original on 27 July 2011. Retrieved 21 August 2011. ^ Nursing and Midwifery Council Pre-registration training. London: NMC, 2003. ^ "Student bursary system 'unsustainable', claims minister in response to editors | News". Nursing Times. Retrieved 10 December 2017. ^ "Post Registration Education and Practice (Prep) requirements for midwives | Nursing and Midwifery Council". Nmc-uk.org. Archived from the original on 26 November 2010. Retrieved 21 August 2011. ^ BNF Publications. "BNF Publications". ^ a b c d e f g h i j k l m n o p Link text Archived 29 December 2011 at the Wayback Machine. ^ "Nursing in Japan – Overview of Japanese Nursing System". nurse.or.jp. Retrieved 25 February 2018. ^ "Nursing in Japan – Working conditions in Japan". nurse.or.jp. Retrieved 25 February 2018. ^ "Professional Nurse Salaries – International Comparison". worldsalaries.org. Retrieved 25 February 2018. ^ "Ministry of Health and Welfare". ^ Health Resources and Services Administration. (September 2010). The Registered Nurse Population: Findings From the 2008 National Sample Survey of Registered Nurses. Washington, DC: U.S. Department of Health and Human Services. ^ American Nurses Association. "Nursing Facts: Today's Registered Nurse – Numbers and Demographics" Washington, D.C., American Nurses Association, 2006. ^ Nursing (Ferguson's Careers in Focus). New York, N.Y.: Ferguson. 2006. p. 188. ISBN 978-0-8160-6587-5. ^ a b Nardi, Deena A., and Charlene C. Gyurko. "The Global Nursing Faculty Shortage: Status and Solutions for Change." (2013): 1-11. Web. 28 Jan. 2015. ^ "FAQs: Contact Hours (CNE Credit)". ^ "Continuing Education for Nurses and Medics". NHI. Retrieved 10 December 2017. ^ "American Nurses Association". Nursingworld.org. Retrieved 21 August 2011. ^ "National Healthcare Institute Continuing Education Requirements by Board of Nursing". NHInstitute.com. Retrieved 14 February 2012. ^ American Nurses Credentialing Center. "ANCC Certification" Washington, D.C., American Nurses Association, 2006. Rosseter, R. (6 August 2012). "Media Relations/ Nursing Shortage". American Association of Colleges of Nursing. Fitzpatrick, Joyce J. (24 August 2011). Fitzpatrick, Joyce J.; Kazer, Meredith (eds.). Encyclopedia of Nursing Research (3rd ed.). ISBN 978-0826107503. Hardy, Susan; Corones, Anthony (2017). "The Nurse's Uniform as Ethopoietic Fashion". Fashion Theory. 21 (5): 523–552. doi:10.1080/1362704X.2016.1203090. D'Antonio, Patricia. American Nursing: A History of Knowledge, Authority, and the Meaning of Work (2010), 272pp. "Nursing" . Encyclopædia Britannica (11th ed.). 1911.